Apna Ghar provides many services. For our basic level of care, caregivers provide services such as companionship, meal planning and preparation, light housekeeping, laundry, medication reminders, and other general assistance. For sitter services, caregivers sit with and monitor a client during their hospital or facility stay. The caregiver can then follow the client home to provide a smooth transition. We also offer zabiha halal meal delivery service, non-vegetarian, and vegetarian meals. For our advanced level of care, our professional and experienced caregivers provide basic companion care plus assistance with the Activities of Daily Living (ADL), such as bathing, dressing, grooming, toileting, and ambulation assistance. These services are initially assessed and regularly monitored by either an on-site care coordinator, social worker or RN depending on the regulations of the state that the office is located in. Our unique Peace of Mind Visit program is a short visit each day to help clients with, among other things, bathing assistance, meal preparation, medication reminders, getting out of or in to bed, and “check-ins”. We offer a rise and shine service where we can check in our your loved one in the morning to make sure they have taken their morning medications and fix them breakfast. We also offer a turn down service where we can check and make sure your loved one has taken their evening medications, can do a light dinner prep, and help turn down their room for bedtime. 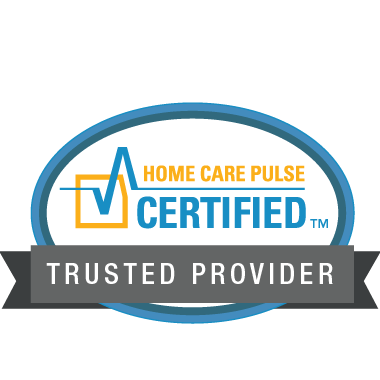 Our caregivers monitor clients in hospitals, nursing homes, assisted living centers, continuing care retirement communities, etc., to be there when the family cannot. Vacation Sitting is a unique program to assist families by providing care for a short period of time, such as vacations. Our companions come from large ethnic backgrounds speaking multiple languages. We also offer staffing solutions to other home care businesses. Services available in short-term and long-term facilities in southeast Michigan. Serving the city of Atlanta and it’s surrounding suburbs.